According to the World Bank, the development community has recognized that both government institutions and private players in the developing world far too often tend to overlook the poor in the delivery of various goods and services. Such oversight results in either low quality good/service delivery or at times no delivery at all, and as such the consequence is continued deprivation of goods and services to citizens, dilapidated or poor infrastructure, and a lack of representation in important decision-making processes. As a result of these deficiencies, social accountability has emerged as an important weapon in the fight for better governance and service delivery. While issues of poor public services affect entire societies, according to the World Bank (2009), unlike wealthier classes, the poor tend to be more affected as they are unable to compensate by switching to better-quality private services. Public services can either be provided by the state directly, or through sub-contracted private service providers, however regardless of the channel, their effective delivery is crucial for poverty reduction and the attainment of critical development goals. Experiences around the world have demonstrated that generating and using information on the performance of service providers by both government and those contracted by government can lead to foster adherence to higher quality standards in service delivery. Increasingly, the use of social accountability as a governance tool for political, economic and social purposes is becoming more prevalent around the world. The objective of this project is therefore to increase transparency on allocation and spending of resources in selected states in Zambia. It is the right of every citizen to understand the utility of the funds against the welfare gains of the targeted beneficiaries. Conduct trainings on social audit/social accountability. Evidence gathering (dissemination of budget information/ review of budget implementation in selected areas and using such existing tools as annual budget performance). Support establishment of multi-stakeholder platforms in relation to revenue sharing responsible investments from extractives into education, health and agriculture. Advocate for legislation of EITI, especially implementation of the African Extractive Industry Governance Framework. Engaging media Formation of radio listening groups, dissemination of information using community radio. Increase transparency on allocation and spending of resources. Enhance gathering and dissemination of budget information/ review of budget implementation in selected areas and using existing tools as annual budget performance. While social audits are innovative mechanisms that can create the enabling conditions for public accountability, without a knowledgeable and demanding civil society, it is difficult to make social audits work at the field level. The focus therefore of this phase of the project implementation is to undertake capacity building and raise the awareness of civil society. In November the following activities will be implemented by the Policy and Research Technical Working Group (TWG) led by Consumer Unity Trust Society – Zambia (CUTS) and supported by Civil Society for Poverty Reduction (CSPR). Engaging Media: Formation of radio listening groups, dissemination of information using community radio. The Civil Society for Poverty Reduction (CSPR) is a civil society anti-poverty advocacy network of over 70 organisations working for pro-poor development in different parts of Zambia. 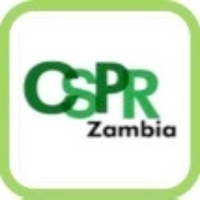 Established in 2000, the overall objective of CSPR was to ensure that civil society effectively and meaningfully participates in the design, formulation, implementation and monitoring of Zambia’s Poverty Reduction Strategy Paper (PRSP). Today the network has extended to all priority policy programmes, strategies and plans aimed at poverty eradication. Oxfam is an international confederation of 17 organisations working in approximately 94 countries worldwide to find solutions to poverty and what we consider injustice around the world. Our ultimate goal is to enable people to exercise their rights and manage their own lives. We work directly with communities and seek to influence the powerful, to ensure that poor people can improve their lives and livelihoods and have a say in decisions that affect them. Our focus areas are development, emergencies, campaigning, advocacy and policy research. Oxfam In Zambia aims to influence a reduction in poverty and inequality through transformation of Zambia’s growth model in favour of people living in poverty and significantly advancing women’s rights. The Civil Society Poverty Observatory Group (CS-POG) is an alliance of over 40 Civil Society organizations in Zambia working across all the 10 provinces that seeks to exact greater accountability for poverty reduction efforts in Zambia and provide cutting edge policy advice to the Zambian Government on poverty alleviation and sustainable development goals, as espoused in Zambia’s National Development framework. Increased demand for transparency on the use of public finance.